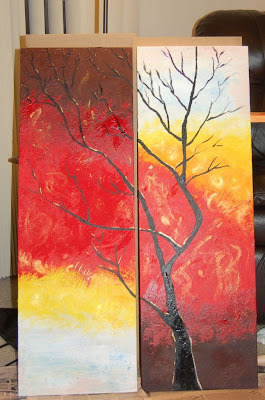 Here are my two latest painting projects. Any constructive criticisms? you are a very gifted painter! do you have any formal training? what kind of paints do you use? Thanks so much Rima! I dont have any formal training..I use acrylics. oh my god! oh my god! i love your paintings as much as your eyemakeup looks! fantastic paintings!so adorable! Thanks Priya. These last two projects have turned out fairly decent.